Jamie loved to do magic tricks. He did card tricks, coin tricks, rope tricks, and any other kind of magic trick he could think of. He could pull a candy bar out of his ear, rip a dollar bill in half and make it whole again, and read somebody’s mind. They were all just tricks, of course – not real magic – but the other kids in the orphanage loved to watch Jamie perform his impressive repertoire. “Do it again!” shrieked Hannah when Jamie pulled a beaded bracelet out of her shirt sleeve. Peter laughed and laughed as Jamie coughed out a 15-foot multi-colored scarf. And little Molly just watched with huge, brown eyes until Mrs. Miller called them for supper. Eventually, though, the orphans grew bored of the same old tricks day after day. But, as luck would have it, that was when Jamie found an old magician’s hat buried at the bottom of a crate of stuffed animals at the second-hand store across the street. The hat was splendid – tall and dark with a sparkling silver band. When Jamie set it on his head, he felt positively regal. It was a little dusty and rather old, but those qualities simply added to its mysterious appeal. Jamie bought it at once for a bargain price and ran back to the orphanage with his prize clutched tightly to his chest. He didn’t show the hat to anyone. He went into the bathroom and looked at himself in the mirror. He looked like a real magician with the hat perched on his head. He closed his eyes and imagined himself on stage. “And now, ladies and gentlemen, I will pull a rabbit out of this hat,” he said, bowing and removing the hat with a flourish. He reached into the hat. His serene stage smile gave way to an expression of shock as his fingers closed around something warm and furry. Heart racing, he drew from the hat a quivering, snow-white rabbit. With a cry of triumph, Jamie flew out of the bathroom in search of an audience. He found little Molly first. “Molly, what’s your favorite kind of animal?” he asked breathlessly. “Kitty cat!” smiled Molly, clapping her hands. “Well, Molly,” said Jamie confidently, “today is your lucky day because I am going to pull a kitty cat out of this empty hat just for you!” His hand disappeared into the hat and when it reappeared, it was holding a tiny kitten. Molly’s huge dark eyes lit up and she eagerly reached for her pet. 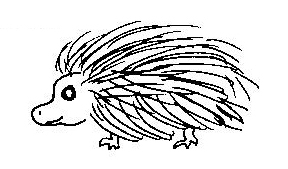 Soon he had brought into existence a parrot for Peter, a turtle for Hannah, a walking stick for Joey, a hamster for Karen, and an entire family of hedgehogs for Clay. “Where on earth are all these animals coming from!” cried Mrs. Miller in exasperation as she stepped around hedgehogs and dodged the turtle to get to the kitchen. It wasn’t long before all of the children in the orphanage were hounding Jamie for a pet of their own, a new toy, candy, or this or that, and Jamie decided he was no longer going to be generous with his hat. “From now on, I’m using this hat for only me,” he thought stubbornly, already regretting having made such a display with his new treasure. After supper, Jamie again found himself cornered by children wanting something from his magician’s hat. The children frowned and muttered under their breath, but they quickly dispersed and left Jamie in peace. When Jamie looked up, only one child remained. Molly’s huge eyes looked hopefully at Jamie’s last bite of chocolate cake. Jamie glanced at the cake, then at Molly. He crammed the cake into his mouth and watched Molly walk away in disappointment. Jamie got greedier and meaner with every passing day. Finally the other children agreed that something had to be done. That afternoon as Jamie walked through the main room, Peter stopped him. “Your magic hat can’t do everything, you know,” said Peter. “Oh yeah?” responded Jamie, crossing his arms with a haughty smile on his lips. “I bet you can’t make yourself disappear,” challenged Peter. The next sound the children heard was a soft thump as the magician’s hat hit the floor. Jamie had completely vanished. Molly tentatively approached the hat and nudged it with her foot. She looked up with amazement in her large eyes.